If there was anything else that I could have done, I would have done it. Unfortunately, I only have one stomach and the food was overflowing. It wasn't a bad thing. On the contrary, it was one of those memorable lunches that could have had been the only meal for a day or two. 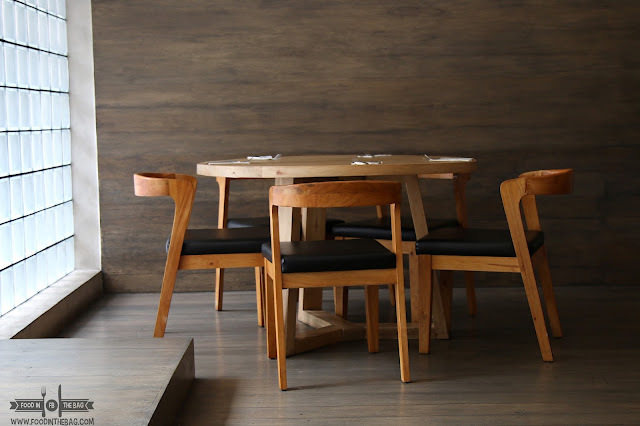 You see, MADE NICE SUPPER CLUB in MAKATI is now open for lunch. Just a few days in, they created a different menu just for the mid day crowd. It's something to be excited about that I know I should have had more space for everything that followed. Arriving ahead of the usual suspects, MADE NICE seemed to have that relaxed vibe come lunch time. The place is zen like before the influx of the crowd. Coffee is done right. Same with other drinks, the place has a dedicated bar area that could make whatever you wish. Drinks with alcohol or without, I think they have everything for everyone. 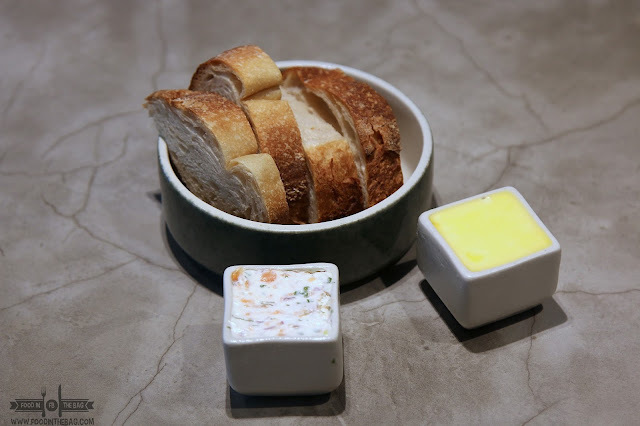 To start things off, bread partnered with butter and a sort of salmon mixture is served. These sliced goodies came from the famous Toyo Eatery. Delivered fresh daily, it's pretty nice to see that establishments patronizing other local places as well. 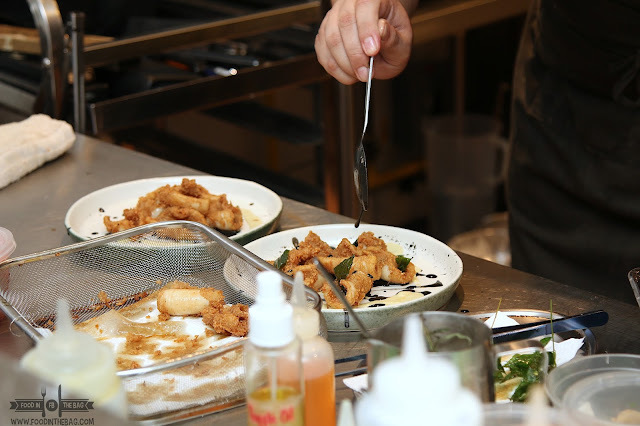 With an open kitchen, guests could definitely watch and see how the crew perform and work on their dishes. They might see a couple of trade secrets but heck, MADE NICE is great when it comes to that. If there was the only thing that made me felt "just okay", it was the salad part. I have this feeling when it comes to having vegetables. Don't get me wrong, they were delicious, fresh, and somewhat unique. One has a Mexican feel to it while the other is lively as it has fig in it. Just my personal preference to stay away from the green stuff. From here, everything went uphill. 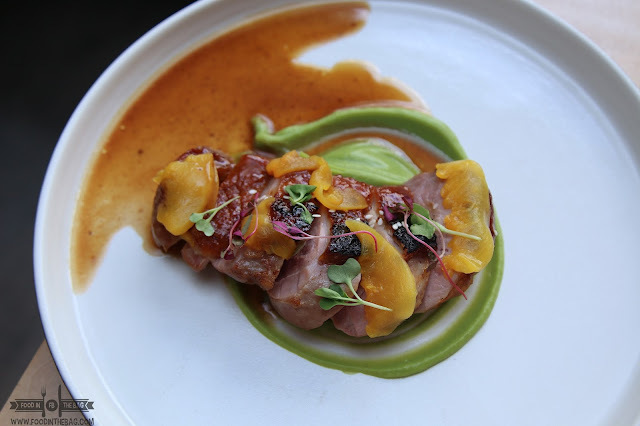 Each course of the meal elevated the dining experience. On one side of the restaurant, a wooden desk doubles as the pasta station. 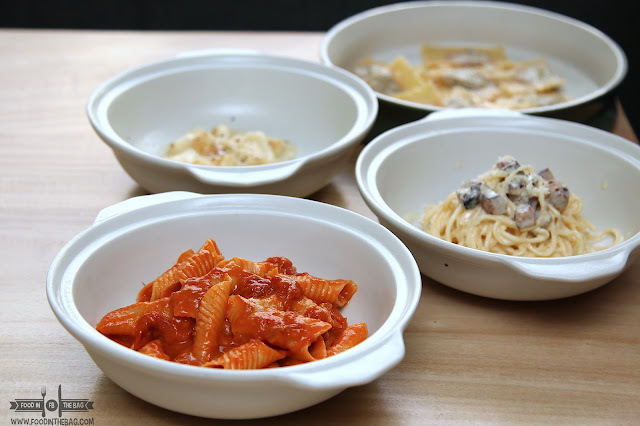 It's here that we could see the chef create the different ingredients to be used in their pasta dishes. Freshly made, it's the why there is a premium. There was quite a number of dishes to try out. There's the Bolognese, Gnocchi, Carbonara, and Garganelli. 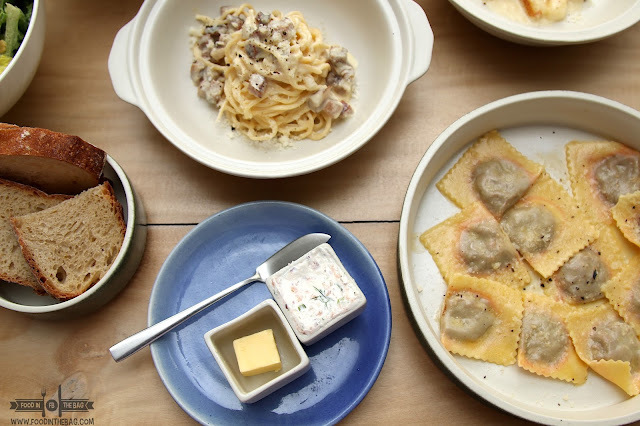 The bolognese is served in a ravioli form. 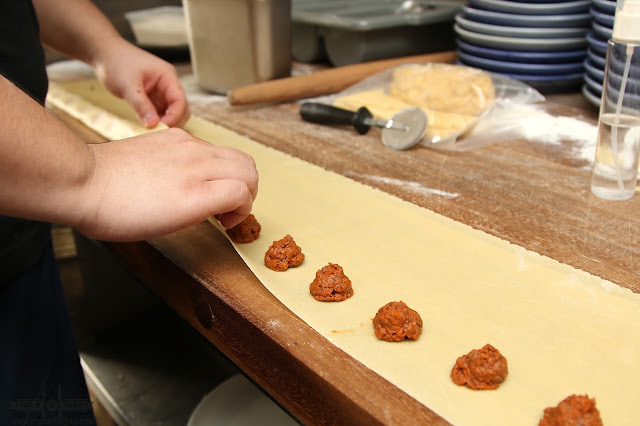 The Garganelli is their version of the red sauce. The Gnocchi is chewy but has the right texture you would expect. The most unique pasta dish though would be the UNI. 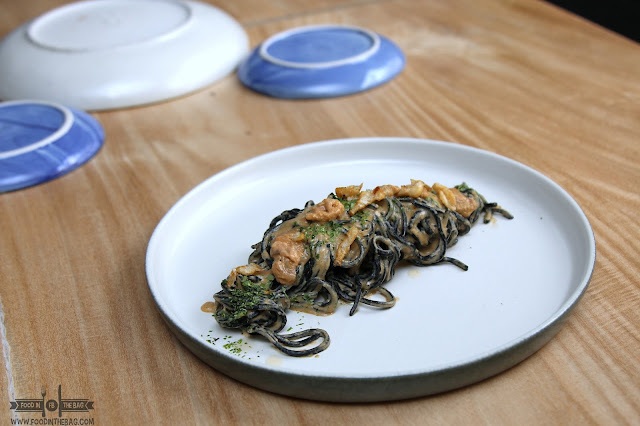 Made with Tagliolini, cream and white wine, the pasta used squid ink as an agent to create this squid like presentation. 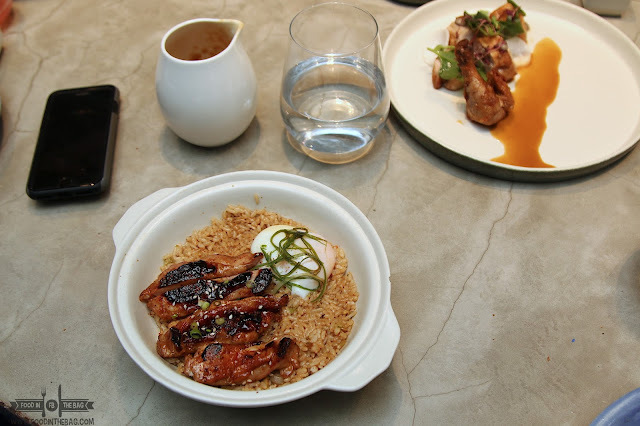 Lunch in Makati sometimes needs to be fast and familiar. As such, MADE NICE did a number with their sandwiches. 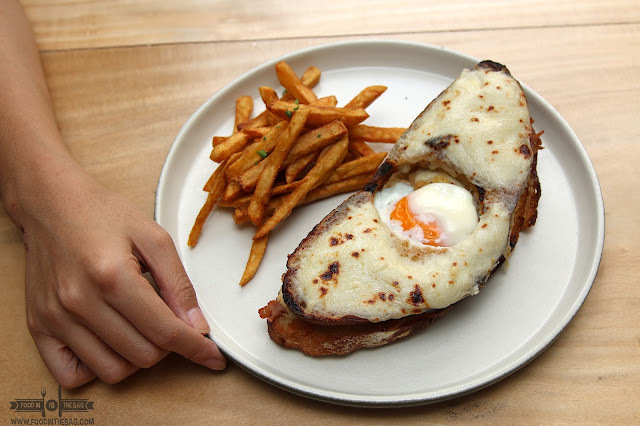 Recreating a classic, the croque madame was presented. Sourdough bread is used to house the forest ham, egg and cheese. The fries were deadly good that I found myself getting one after the other. If you're into a more healthy substitute, they also have a tuna version. For heavy hitters, the BURGER and the CHICKEN would be your best bet. The chicken is a magnificent combination of mango, coleslaw, and fries. It's a beast in its own right. 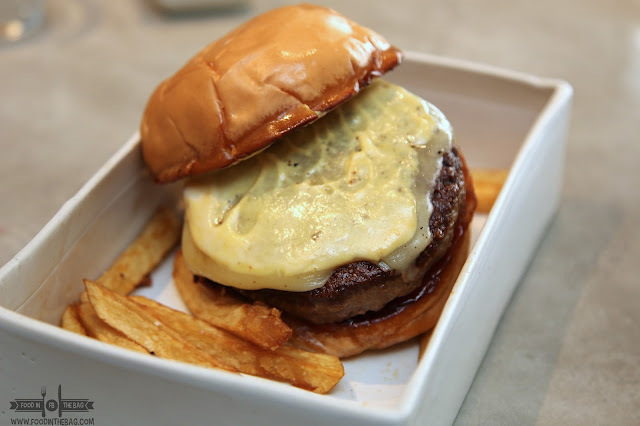 Not to be out done, the BURGER is made with a secret USDA BLEND, that is created to be simple and juicy. If you want comfort, then you're in for a treat. The FOIE GRAS with SCALLOPS is just the tip of the iceberg. 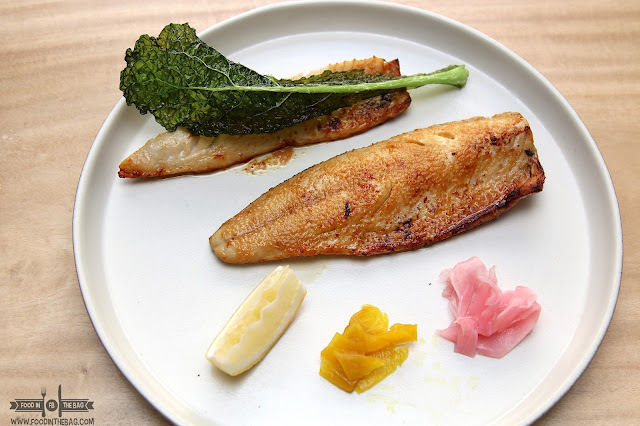 One might dismiss this as an ordinary dish but it is more than that. 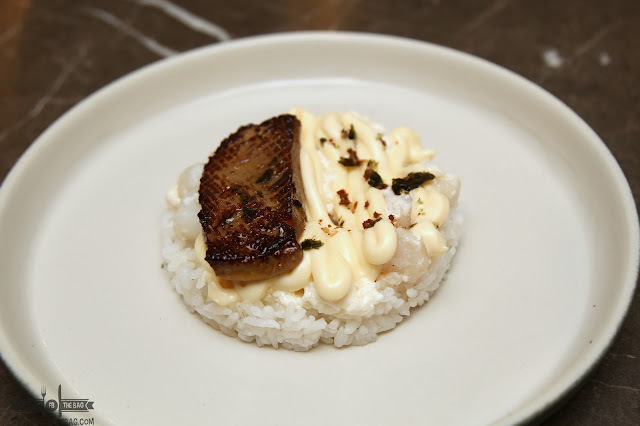 The Foie Gras is buttery while the mayonniase complimented the scallops. It would be optimal to order extra rice as the flavors demands it. Squid is treated right with the squid ink and the vinegar. Curry leaves are added to give it a fresh take. 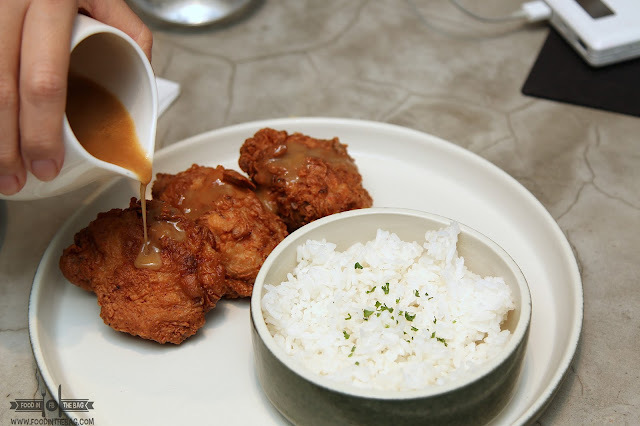 Believe it or not, there's even a condensed milk sauce that adds a bit of contrasting flavor. There's actually a number of Chicken dishes in the mix. 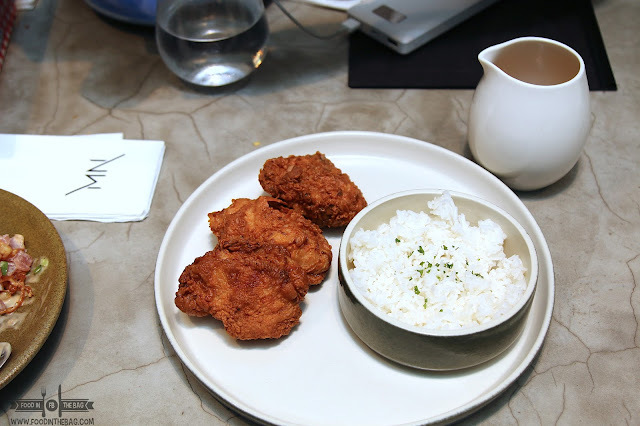 Aside from the moist fried chicken, they have the Oyakodon. A rice bowl filled with egg and a teriyaki fillet. Simple yet elegant. That's how I would describe their take on MACKEREL. With miso, kale and a side of rice, it's clean and has this simple flavor. As you dwell into it more, you're given a bit of salt just to remind you of the ocean. 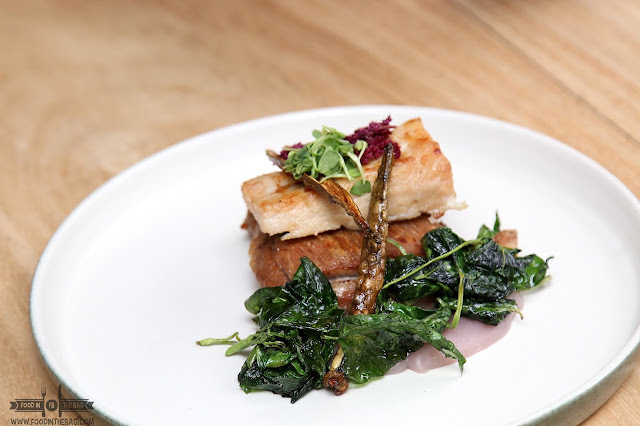 MADE NICE's take on something Filipino, the PORK is composed of sinigang flavors. There's the belly, and other vegetables. 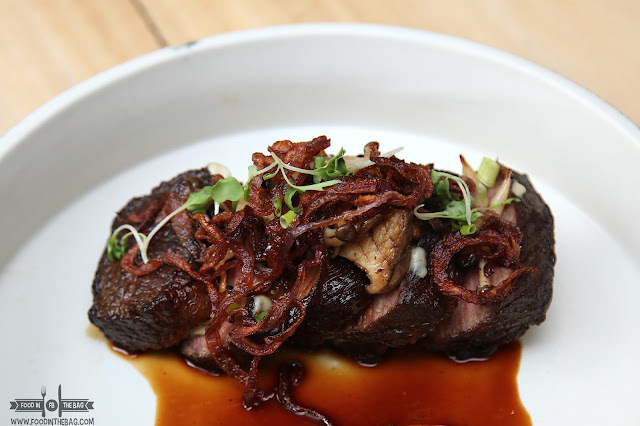 Two dishes that must be given a try would be the STEAK and the DUCK. The steak has 700 grams of reasons why you should go for it. It's a USDA PRIME RIB EYE. It's partnered with corn, spinach and rice. The duck is given special attention. Cooked just right, it's not rubbery as one would expect. It actually gives out the best that it could offer. 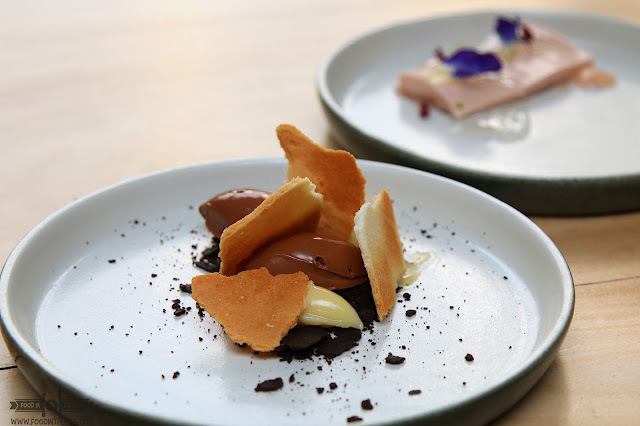 Dessert is a different ball game altogether. You have to be there to try it out. MADE NICE SUPPER CLUB is now open for lunch time. Located on G/F Planters Products Inc. Bldg., 109 Esteban St., Legazpi Village, Makati, Metro Manila. The menu differs for both lunch and dinner. Parking during office hours might be a little bit of a problem as guests could only stay for a maximum of 3 hours. Afterwards, they would need to move their car or risk being clamped. I would suggest going to the nearby mall and just take a cab or uber. It makes sense. No parking problem whatsoever.